To be completely honest, I would have purchased this even if I hadn’t fallen in love with the fragrance, because the bottle is just so darn cute! Marc Jacobs have set themselves high standards in the packaging department (you know the bottle I’m talking about!) but Daisy Dream is a slightly more subtle design for your dressing table, but equally as wonderful! Inspired by daisies and blue skies, Marc Jacobs have created a light, fresh, floral fragrance and I just can’t imagine anyone NOT liking the scent. It has a similar undertone to the other Marc Jacobs fragrances, so I’m sure if you have liked the others then you are bound to love this one. On first spray you can detect the notes of blackberry and pear mixed with white woods, musk and a touch of coconut water. Deeper, there’s a woody musk and a bouquet of blue wisteria. The whole fragrance feels light and fluffy – a reminder of summer but warm enough to wear through to Winter too. 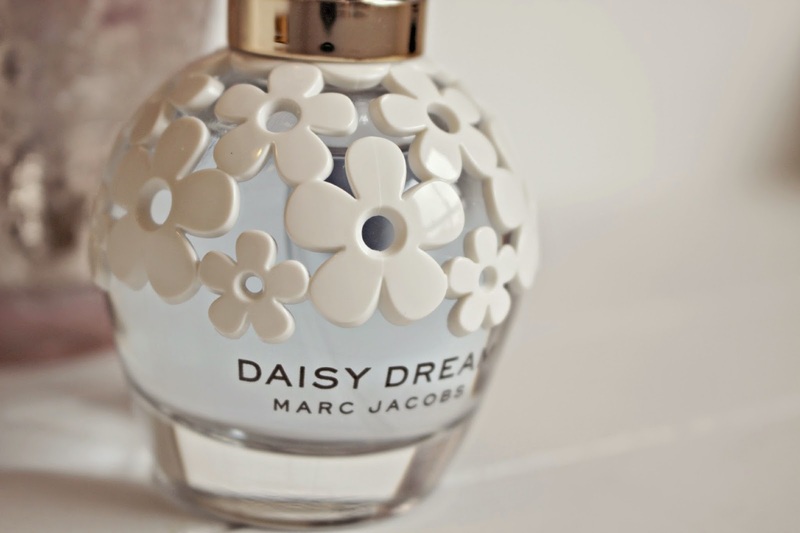 Launched in the Marc Jacobs Tweet Shop in Covent Garden, causing a social media storm, the Marc Jacobs Daisy Dream is the bottle that we all want to have on our dressing tables – I think this would be such a fabulous Christmas gift or even a treat for yourself. They start at £42.00 and you can buy the fragrance at The Perfume Shop here. Will you be putting this on your Christmas List?